Looking for the perfect gift for someone who loves Bitcoin? Look no further as this CoinedBits® Satoshi Nakamoto limited edition bobble head will knock their socks off, and is sure to please any cryptocurrency fan! Perched atop the Original Bitcoin Commemorative Coin, the Satoshi Bobblehead is a customized souvenir item for Bitcoin believers, and has been hand-crafted from polyresin. Each figurine is hand-painted and carefully packaged in a styrofoam box to protect it during transit. Sized at 7″x3” and weighing 9.5 oz, you can proudly display your Satoshi bobblehead just about anywhere! You will be amazed at how much talk this figurine can generate. 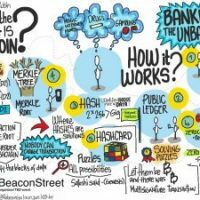 It’s a great way to help spread the Bitcoin Revolution! All CoinedBits® products are backed by our 100% Customer Satisfaction Guarantee. Buy now and start enjoying your Satoshi Nakamoto limited edition bobblehead today! 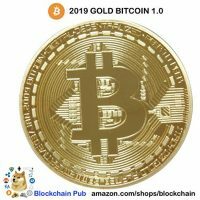 For more Bitcoin Collectibles, please visit our CoinedBits® Amazon Store where you find Satoshi stuff to suit all your Nakamoto needs as well as find our 18K gold plated Original Bitcoin Collector’s Coin and the newly minted Bitcoin Copper Miner Coin. Collect them all today! CUSTOMERS SAY: Proudly perched on my antminer | Best Satoshi collectible! | Nice mask and cool coin!